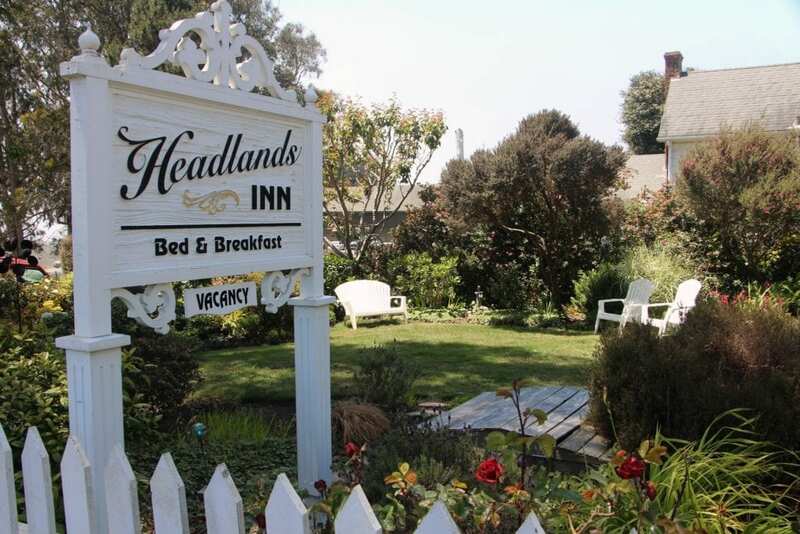 The Headlands Inn Bed & Breakfast stands at the heart of Mendocino Village, within a stone’s throw of the town’s esteemed galleries, shops, and restaurants. Built in 1868, the New England-style saltbox is among the oldest buildings in the village. The house was originally built as a barbershop on Main Street. The second and third stories were added in 1873 to provide living quarters for the barber and his family. The building later became a restaurant, and the owner at the time used the upstairs as an annex to his hotel. In 1893, a businessman purchased the house and moved it to its present location on the corner of Howard and Albion Streets. Horses pulled the house over a series of logs, which were used as rollers. 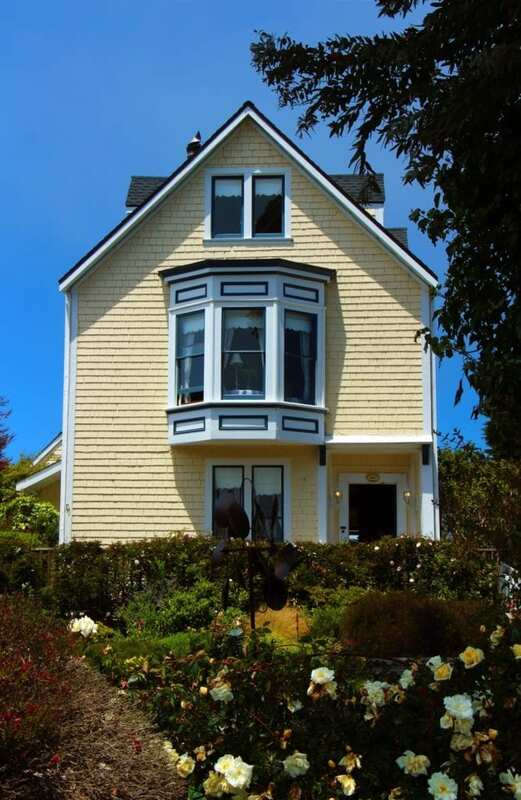 John and Bessie Strauss owned and lived in the house for the longest stretch of time: 55 years beginning in 1924. In 1979, the house was transformed into a bed and breakfast inn. But former co-owner of an auto body shop in Sacramento had a hunch she might enjoy the work of an innkeeper. After a bit of research, Denise learned not only that there were B&Bs for sale, but that she could find one in a beautiful part of the state. She and her fiancé Mitch closed escrow in February of 2003. They were married a week later, on Valentine’s Day, in the front yard of their new inn. She said they then “jumped in with all four feet” to set about making the inn their own. Touring the inn with Denise, it’s easy to see she’s found her calling. 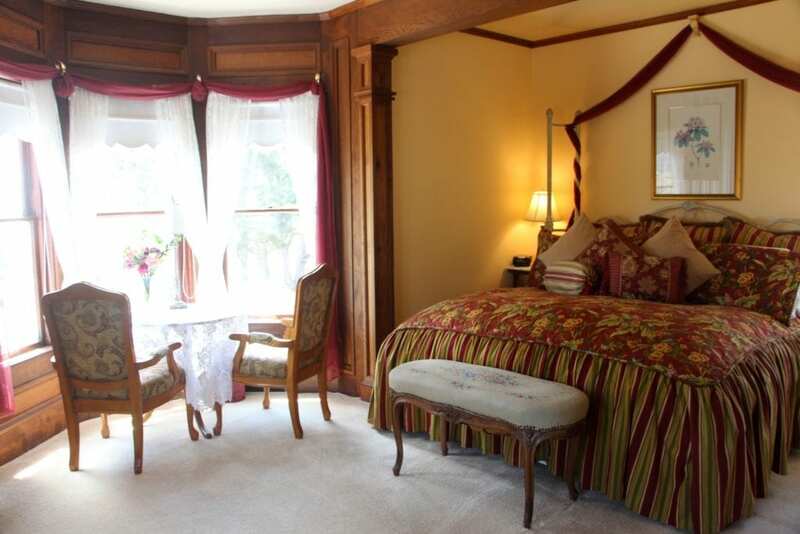 The rooms look like pages borrowed from a Victorian home magazine: lofty feather beds piled high with pillows, beautiful antique armoires, lace curtains, wood-burning fireplaces, and fresh flowers in every room. It’s a style that Denise describes as “not over-the-top Victorian,” but is nevertheless in keeping with the era of the house. Her choices emphasize comfort and simplicity with a keen eye for layering color, patterns, and textures. On the second floor, the spacious Bessie Strauss Suite elegantly blends florals and stripes in rich hues of burgundy and gold. 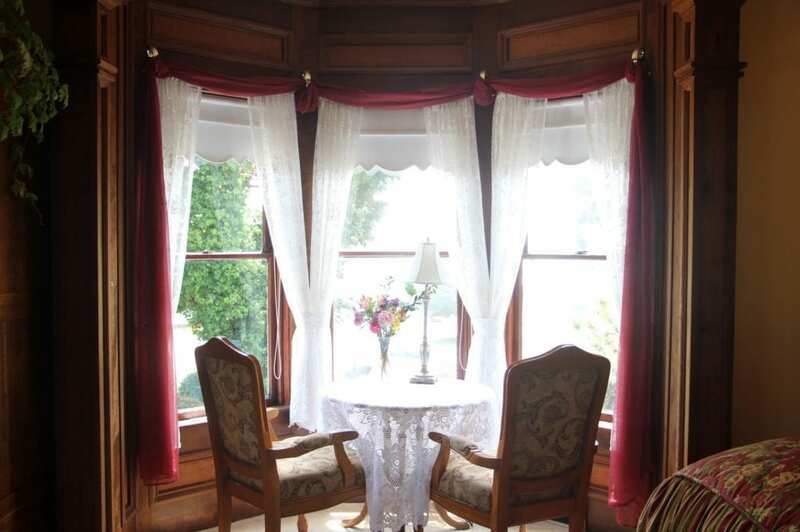 The suite features a large bay window with handsome woodwork and ocean views, a lace-draped table with two antique chairs looking out over the sea, and a sitting area with a deep-cushioned couch near the fireplace. 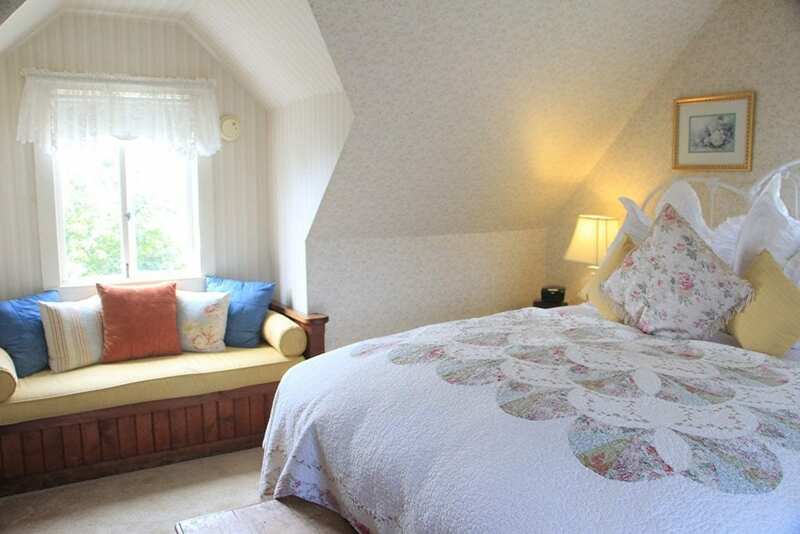 On the top floor, the George Switzer Room features two cozy reading benches built into the dormer windows on either side of the bed. The sunny room is decorated in pale yellow and cream with brighter colored accents and a beautiful quilt draped over the bed. There’s also an antique writing desk and a fireplace in opposite corners of the room. When I ask Denise if she has a background in interior design, she quickly demurs. 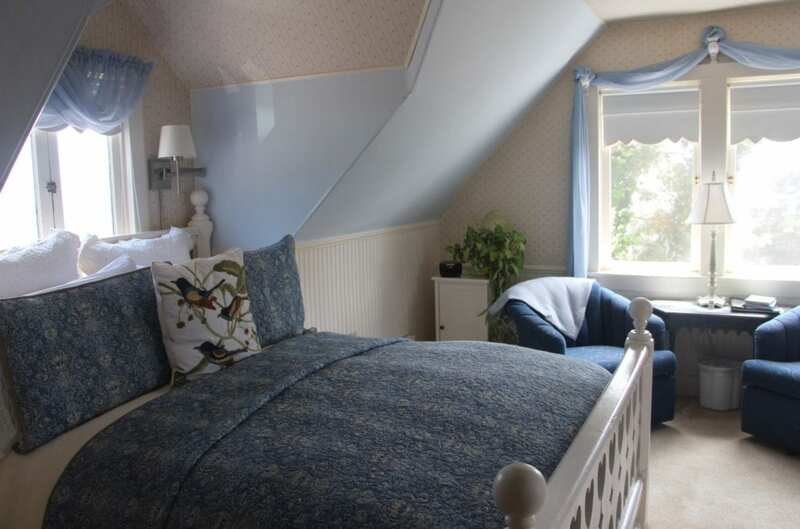 The inn houses seven guest rooms in total, all named for previous owners. Each morning, breakfast is served on antique English china and delivered to the privacy of the guests’ rooms with fresh flowers and a copy of the morning’s newspaper. The menu varies each day, but consists of a choice of coffee or tea, juices, home-baked pastries, fresh fruit, and a hot entrée. Guest favorites include a Southwestern soufflé, a savory artichoke frittata, and Denise’s signature peach-stuffed French toast. Vegetarian, vegan, and special diet breakfasts are available upon request. Outside, Mitch leads me through the gardens where he and Denise were married 12 years ago. 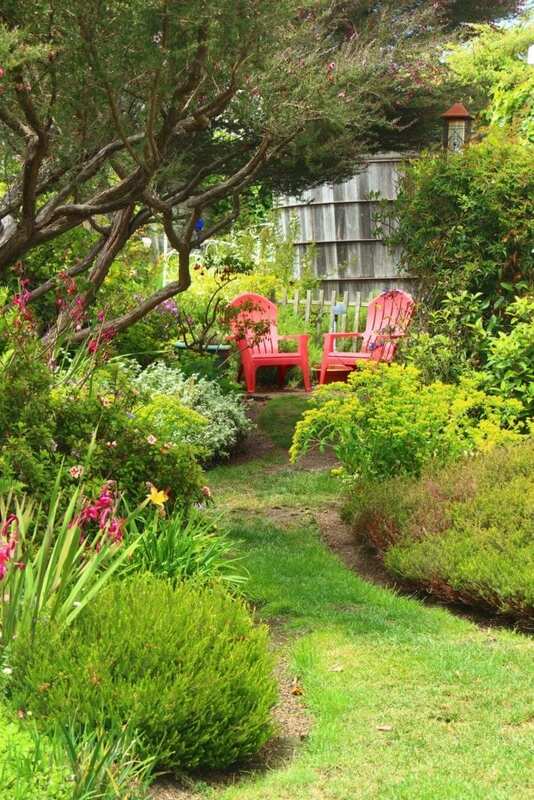 The gardens are a profusion of blooms with Adirondack chairs nestled here and there. Glass hummingbird feeders hang from the trees. The yard is lined by a white picket fence. It’s a lovely spot to exchange vows. Along the side of the house, Mitch shows me a vegetable garden he built off the kitchen for his wife’s herbs and vegetables, which is whimsically bordered with antique brass bed frames. Mitch leads me back through the kitchen, where Denise rejoins us. 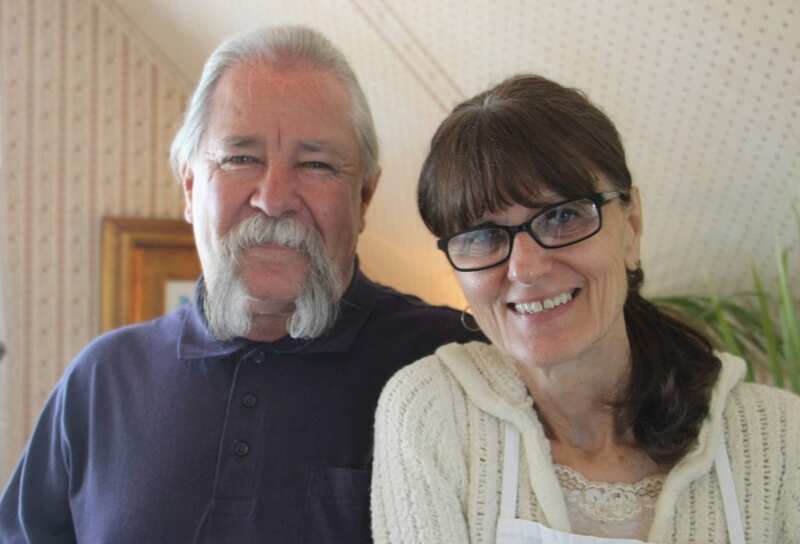 We chat for a while longer, and I notice a sign near the kitchen that reads, “Enter as strangers, leave as friends.” She smiles and tells me the sign sums up their experience as innkeepers for the Headlands Inn. “We’ve been making friends for over 12 years now,” says Denise.